The stock market is in turmoil, and the tech industry is far from immune. But some companies are faring better than others. 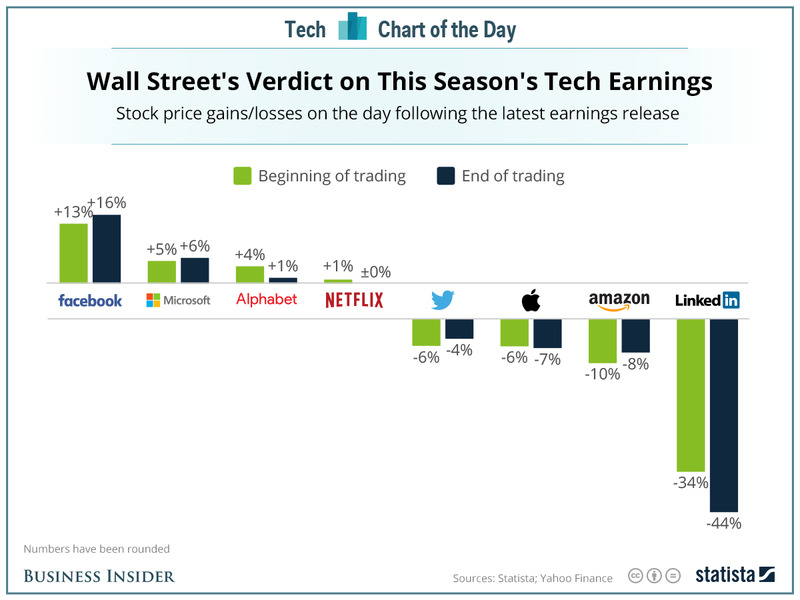 This chart from Statista shows how investors judged eight of the most prominent tech companies the day after they reported earnings for the last quarter of 2015. Facebook was a clear winner, and Microsoft did quite well also, although it's sincegiven up those gains. LinkedIn's steep drop was the most alarming — even its CFO says he was "surprised" — and the clearest signal that we're at the start of a correction in tech stock valuations.